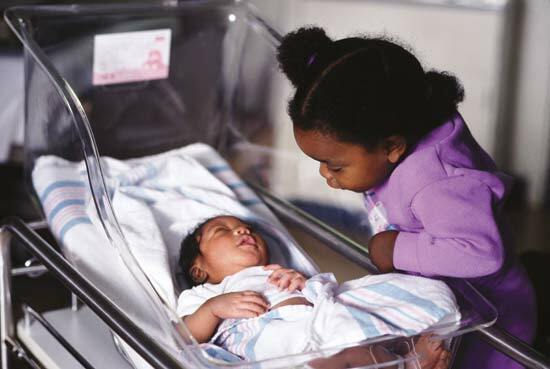 The incidence is even higher in pre-term newborns, affecting approximately 60% of the babies, leading to long-lasting complications of the disease. The manifestation of brain injury differs depending on the maturational status of the brain at the time of the insult. In pre-term babies white matter injury is predominant, being more vulnerable to glutamate toxicity and neuroinflammation as some brain cell populations are still developing. In contrast, in term babies, in which the maturation of the white matter is more advanced, neuronal degeneration in grey matter structures is the most commonly observed manifestation of injury (3,4). So far, hypothermia (applied as head or whole-body cooling) is the only clinical intervention used in hypoxic-ischemic newborn babies. However, hypothermia does not prevent injury in all cases and, the treatment does not always lead to complete functional recovery (14). Currently, no other treatment is available to patients. Cannabinoids modulate neuronal excitability and counteract glutamate excitotoxicity, as we have explained further in a video on Cannabis for ALS. in-vitro experiments have been carried out with a synthetic cannabinoid (WIN-55) in an animal model of acute hypoxic-ischemic strokes. It has been demonstrated that CBD has neuroprotective effects in models of acute hypoxic-ischemic brain damage in newborn animals as well as in adult rodent stroke models. In a more recent study, an animal model of severe stroke in newborn rats, CBD (5mg/kg) was administered post-insult, overall reducing peri-infarct brain-damage and restoring neurobehavioural function in the short and long term. 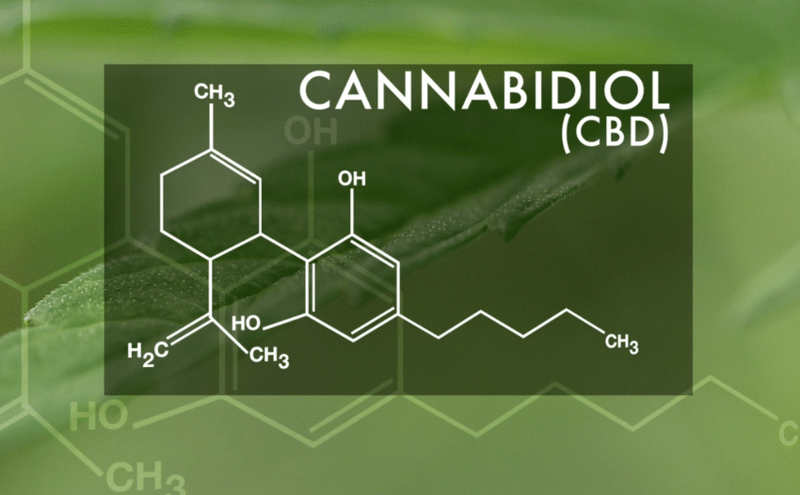 The volume of the infarct was not modified by CBD, but its beneficial effects were apparent already one week after the stroke, including prevention of long-lasting functional impairment, while no side effects of the drug were observed. The prospects of cannabidiol (CBD) becoming effective and safe therapeutic drug against neonatal hypoxia-ischemia increased considerably after several studies demonstrated the beneficial effects of CBD on multiple neurophysiological parameters commonly used for the bedside monitoring of asphyxiated newborns. In one of those studies the intravenous administration of CBD (0.1 mg/kg) improved brain tissue oxygenation during the first 3 h after hypoxia-ischemia, and induced a partial recovery of EEG amplitude from 1 to 6 h in newborn piglets. Altogether, these studies using both rodent and non-rodent animal models strongly suggest that CBD may be a safe and effective drug to be used during the acute and sub-acute phases after ischemic stroke, and is currently the best suited cannabinoid to be implemented for clinical use in babies affected by neonatal encephalopathy. 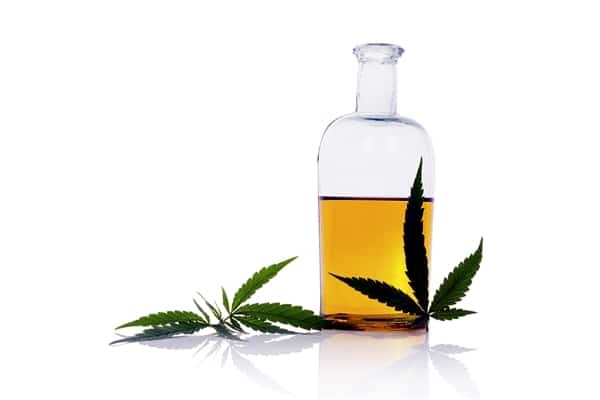 Although the best source of CBD derives from high-CBD cannabis strain, many CBD oil preparations are also extracted from hemp, for legal reasons. Amongst the commercially available CBD oils, the mean average contents are a mere 0.173% THC while providing levels of CBD measuring at > 3%, which ensures safe consumption free of significant psychoactive effects. Strains are considered CBD-rich when the CBD content level 4% or above. CBD for newborns is best administered as an oil or extract, or even as a suppository; however, if you choose the latter, we recommend checking out our latest article regarding absorption of suppositories. Feel free to learn more about CBD in other articles! Did you like this article on CBD for newborn babies? 1) Ferriero, D.M. Neonatal brain injury. N. Engl. J. Med. 2004, 351, 1985–1995. 2) Vannucci, R.C. Hypoxic-ischemic encephalopathy. Am. J. Perinatol. 2000, 17, 113–120. 3) Back, S.A.; Luo, N.L. ; Borenstein, N.S. ; Levine, J.M. ; Volpe, J.J.; Kinney, H.C. Late oligodendrocyte progenitors coincide with the developmental window of vulnerability for human perinatal white matter injury. J. Neurosci. 2001, 21, 1302–1312. 4) Kirton, A.; Armstrong-Wells, J.; Chang, T.; Deveber, G.; Rivkin, M.J.; Hernandez, M.; Carpenter, J.; Yager, J.Y. ; Lynch, J.K.; Ferriero, D.M. Symptomatic neonatal arterial ischemic stroke: The international pediatric stroke study. Pediatrics 2011, 128, e1402–e1410. 5) Alonso-Alconada, D.; Alvarez, A.; Hilario, E. Cannabinoid as a neuroprotective strategy in perinatal hypoxic-ischemic injury. Neurosci. Bull. 2011, 27, 275–285. 6) Galve-Roperh, I.; Aguado, T.; Palazuelos, J.; Guzman, M. The endocannabinoid system and neurogenesis in health and disease. Neuroscientist 2007, 13, 109–114. 7) Ramirez, S.H. ; Hasko, J.; Skuba, A.; Fan, S.; Dykstra, H.; McCormick, R.; Reichenbach, N.;Krizbai, I.; Mahadevan, A.; Zhang, M.; et al. Activation of cannabinoid receptor 2 attenuates leukocyte-endothelial cell interactions and blood-brain barrier dysfunction under inflammatory conditions. J. Neurosci. 2012, 32, 4004–4016. 8) Fernandez-Lopez, D.; Martinez-Orgado, J.; Nunez, E.; Romero, J.; Lorenzo, P.; Moro, M.A. ;Lizasoain, I. Characterization of the neuroprotective effect of the cannabinoid agonist WIN-55212 in an in vitro model of hypoxic-ischemic brain damage in newborn rats. Pediatr. Res. 2006, 60, 169–173. 9) Fernandez-Lopez, D.; Pazos, M.R. ; Tolon, R.M. ; Moro, M.A. ; Romero, J.; Lizasoain, I.; Martinez-Orgado, J. The cannabinoid agonist WIN55212 reduces brain damage in an in vivo model of hypoxic-ischemic encephalopathy in newborn rats. Pediatr. Res. 2007, 62, 255–260. 10) Castillo, A.; Tolon, M.R. ; Fernandez-Ruiz, J.; Romero, J.; Martinez-Orgado, J. The neuroprotective effect of cannabidiol in an in vitro model of newborn hypoxic-ischemic brain damage in mice is mediated by CB(2) and adenosine receptors. Neurobiol. Dis. 2010, 37,434–440. 11) Ceprian, M Vargas, C Cora, A Barata, L et al.. (2016). Neuroprotective effect of cannabidiol in a newborn rat model of acute ischemic stroke.International Cannabinoid Research Society 26th annual symposium. 26 (1), 27. 12) Alvarez, F.J.; Lafuente, H.; Rey-Santano, M.C. ; Mielgo, V.E. ; Gastiasoro, E.; Rueda, M.;Pertwee, R.G. ; Castillo, A.I. ; Romero, J.; Martinez-Orgado, J. Neuroprotective effects of the nonpsychoactive cannabinoid cannabidiol in hypoxic-ischemic newborn piglets. Pediatr. Res. 2008, 64, 653–658. 13) Lafuente, H.; Alvarez, F.J.; Pazos, M.R. ; Alvarez, A.; Rey-Santano, M.C. ; Mielgo, V.; Murgia-Esteve, X.; Hilario, E.; Martinez-Orgado, J. Cannabidiol reduces brain damage and improves functional recovery after acute hypoxia-ischemia in newborn pigs. Pediatr. Res. 2011, 70, 272–277. 14) Higgins, R.D. ; Raju, T.; Edwards, A.D.; Azzopardi, D.V. ; Bose, C.L. ; Clark, R.H.; Ferriero, D.M. ; Guillet, R.; Gunn, A.J. ; Hagberg, H.; et al. Hypothermia and other treatment options for neonatal encephalopathy: An executive summary of the Eunice Kennedy Shriver NICHD workshop. J. Pediatr. 2011, 159, 851–858.e1. Just an ethical question, is there clinical trials performed on babies for this indication? And safety and tolerability tests in human babies? Often animal in vivo studies and human in vivo studies are not comparable, expecially with cannabidiol and its inter-subject pharmakokinetic variability (not even asking about the inter-spesies variability?). A nice read, but would like to hear your expert opinion on the matter? Thank you for your message. Your questions are on point- the aim of this article is not that of listing a new indication for CBD, rather to discuss the science on this topic. As you rightly say animal studies are tremendously important, but not conclusive. There is a great need of clinical trials with cannabinoid therapies, and this is a topic I always try to share- because funds are hardly going in that direction, and the more we understand how critically important these are, the more we can take direct action to ask our healthcare systems to act. There are studies on safety for CBD for children, although I am not sure whether on newborns as well (the GW’s Pharma Epidiolex is CBD mainly targeted to kids). Thanks for your kind words of support! Just an ethical question, is there clinical trials performed on babies for this indication? And safety and tolerability tests in human babies? Often animal in vivo studies and human in vivo studies are not comparable, expecially with cannabidiol and its inter-subject pharmacokinetic variability (not even asking about the inter-spesies variability? ).